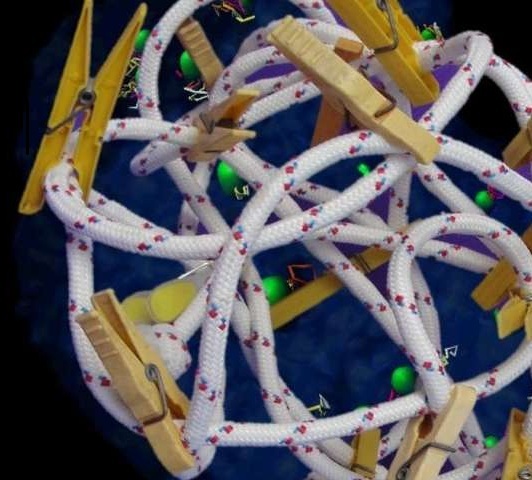 Chromatin is organized in a highly ordered yet dynamic manner in the cell nucleus, but the principles governing this organizationremain unclear. Similarly, it is unknown whether, and how, various proteins regulate chromatin motion and as a result influence nuclear organization. Here by studying the dynamics of different genomic regions in the nucleus of live cells, we show that the genome has highly constrained dynamics. Interestingly, depletion of lamin A strikingly alters genome dynamics, inducing a dramatic transition from slow anomalous diffusion to fast and normal diffusion. In contrast, depletion of LAP2α, a protein that interacts with lamin A and chromatin, has no such effect on genome dynamics. We speculate that chromosomal inter-chain interactions formed by lamin A throughout the nucleus contribute to chromatin dynamics, and suggest that the molecular regulation of chromatin diffusion by lamin A in the nuclear interior is critical for the maintenance of genome organization.